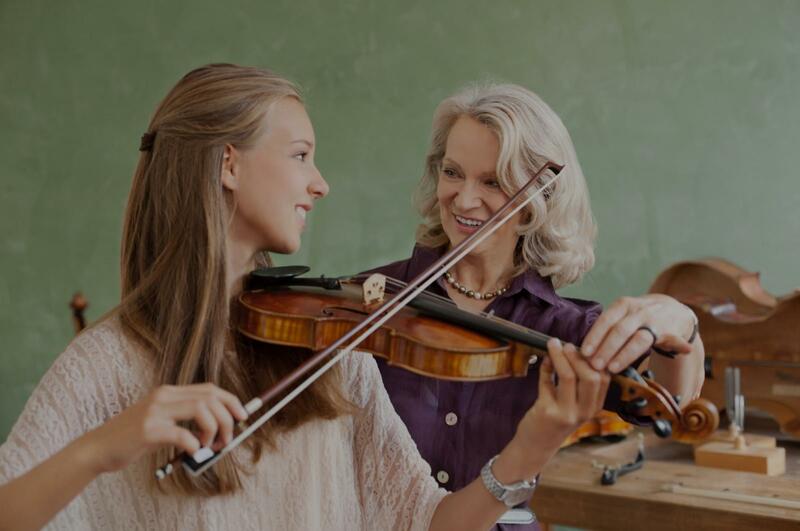 Howell, MI Violin Lessons Near Me | Fun Classes. Top Tutors. Check out some of our most popular teachers near Howell, MI including Troy, Sterling Heights, Detroit, Bloomfield Hills and Royal Oak. Learn how to play beautifully with proper technique, scale exercises, and by sight-reading fun music! I am currently the piano and guitar teacher at Oakwood Academy Schools of Long Beach, and the Music Director for the non-profit organization Arts Aloud Theater Group. I have a BA in Music Education with an emphasis in voice. I've been teaching for 17 years in classroom and one-on-one settings. Other places where I have taught are: Calvary Chapel Downey School, Dexter Music Academy, and ABC Unified School District. I've been complimented on my ability to teach in a way that makes my students learn very quickly. I was trained in the classical and pop/rock genres. I've toured with choirs throughout China, and the United States (including Carnegie Hall), and I have also toured with rock/pop bands in Spain, Mexico, Central America, Peru, and throughout the U.S.A.
Graff, and Maxayn Lewis (who has worked with Celine Dion and Britney Spears). I am also currently the lead singer (also playing guitar & piano) for the band Hello Human. I've worked with amazing musicians including Michael Thompson (guitarist for Michael Jackson, Christina Aguilera), and John Robinson (drummer for Quincy Jones, Elton John). I've also had the honor of working with Wyn Davis (producer of No Doubt, Sublime). My vocal recordings/original songs are on television show The Young & The Restless (“Dreamers” June 11th episode 11449, “High Tops” June 6th episode 11447). My vocal recordings/original songs are currently on KWAVE 107.9 and have been on Alcoa Tennessee's Love 89.1, Refuge, CSN, WCTL, and on hundreds of other radio stations. I divide my class into 4 parts: 1.Scales/Chords/Arpeggios/Warm-ups 2.Sight-Reading 3.Theory 4.Improvisation. Depending on the instrument of your choice, and also what your specific goals are, each of these parts are customized. You will learn quickly. A weighted 88 keyboard is used. Free parking on street and lot. My emphasis was voice (Tenor) at Vanguard University. I am classically trained and trained in Rock/Pop. Violin was my first instrument, then I learned guitar and piano in college. I've done many professional recordings and performances throughout my career. My first guitar session went great and learned so much! Very easy going guy and explains everything so well! Joe is the best pop singing instructor out there! He is experienced, friendly, cooperative with schedule, very cool, and does super knowledgeable! Looking forward to future classes. Joe is clear, organized, and very encouraging. I enjoyed our first piano lesson. I am looking forward to future lessons with him. My greatest desire is that I will instill in each of my students the love I have for making music. I am a classically-trained violinist. I grew up in Lodz, Poland, where I began musical education at the age of 7. I studied violin and piano at the Music High School and Music Academy of K.&G. Bacewicz, Lodz, Poland and earned a Master Degree in violin performance in 1980. During his College years I started to perform with the Symphony Orchestra of Polish Radio and Television. From 2002 – 2005 he was first violinist at Lodz’s Operetta Theater. I moved to Michigan in 2005, where he performs with Macomb, Jackson and Flat Rock Symphony Orchestras. The most interesting and beneficial thing about performing music is that it is one of the few activities that engages both the left and the right brain at the same time. I believe that every Human Being is precious and deserves to be nurtured and encouraged in a fun and loving environment. With that in mind, my teaching places equal importance on developing strong technique, and developing creativity. Students learn all the basics of music, and also spend time developing strong ensemble skills and strong background knowledge of style and repertoire, so that they can enjoy music in all kinds of settings, all their lives. Our time spent together will be laid back and comfortable, yet challenging because that is probably why you want to take lessons. Each lesson will conclude with an assignment of instrumental pieces/songs given to work on throughout the week—usually 2-3 short songs for 30-minute lessons, and 1-2 longer instrumental pieces for an hour-long lesson. These will be the same pieces we have worked on during the lesson time, so you will go home with the knowledge you need to master each piece. Music theory sheets and technique exercises will also be included in the assignments. Within 6 months, you will begin discovering how to read music and understand the language of it. You will learn how to play some of your favorite songs/instrumental pieces and learn some that you might not know. We'll discover what you really want to learn and achieve through taking lessons, and we will work toward those goals! Discipline is vital to musical progress and daily practice is strongly urged, in order for the student to progress. If a students don't practice, they won't progress. Because of that, you can expect that I will encourage consistent and regular practice, always keeping in mind that the study of music is meant to be fun. Knowing from experience how "boring" it can be to learn by rote, I combine technical work with fun time playing duets together, improvising, and exploring a wide variety of styles and genres of music. I expect the student to have their own instrument. I can provide the music stand and I always bring my own instrument so that I can demonstrate during lessons. Zebie is a fantastic teacher. He is very patient and is excellent at finding new methods to teach techniques which I am struggling with at the time. Though I am only 3 weeks in (from being pretty much a complete beginner), I can already tell I am making progress. I am very excited to continue my lessons and improve. I highly recommend taking lessons from Zebie. My overall experience is wonderful. Zibi is not only a great teacher but also knows how to grow interest for music among kids. He is very friendly and having profound knowledge of all kinds of musical instruments. So you thought the violin is only meant to play Classical music? Think again! With over 13 years of experience in improvisation in many different musical styles on the violin, I will show you the methods to explore and teach yourself any type of musical style you'd wish to play! An award-winning Jazz violinist and a graduate of The Newschool of Jazz, These days I'm recording and performing on stages around the world playing Jazz, Rock, Folk and more. Would love to share with you some of my secrets! Teaching improvisation and basic violin for all levels. Also teaching audition prep and ear training! A few years ago a musician I really admire told me how he believes that every musician has to be teaching at some point in his career. He has seen it not only as a suggestion but as an obligation, a responsibility of an artist to pass on his knowledge for the next generations. My life circumstances only make this belief stronger within me year after year. ical music and the Classical school, I’ve been looking around for non-classical Violin teachers in vain. I’ve figured out that in order to play the music I want on the Violin I’m going to have to teach it to myself, thus becoming an independent learner which is most likely the greatest gift I’ve ever received as a musician and a teacher. I had to read books, watch videos, ask people how they practice, use my ears because I had no scores to any of the music I wanted to play, explore. I had to criticize myself, I had to remain conscious about my playing and what I think is missing in my playing in comparison to other players, analyze what is it that excites me in one’s music or playing. Most of all, I had the privilege to remain attentive to any new idea being suggested to me, because no one ever taught me what the “truth” is. Be your own teacher. That is perhaps the only “truth” I would force upon my students. As part of my teaching philosophy, I'm seeking to not only teach my students the skills they wish to acquire but to show them how to determine and teach themselves new skills they 'need' or desire to acquire. With over 8 years of experience teaching private students of all levels and conducting Jazz violin workshops for small groups, I like to incorporate my knowledge in music teaching with other knowledge in learning techniques and education I've acquired through training in Psychology, leadership and education, Alexander technique, Teaching artistry, meditation and social work. Omer is giving Violin lessons to my youngest son Eric for the last 6 months. Eric started playing the guitar a few years ago up until a movie he recently saw on a Japanese brilliant violinist , a week later he told us on his will to tryout the violin. Fortunately We heard Omer playing in a jazz club, and contacted him a few days after, Omer is a very talented musician but has unique capability and patient for his students. Omer is teaching with a very relaxed, positive attitude, his passion for music with small anecdotes and humour was what made Eric to get in love with the instrument and he is Impatiently waiting for his next lesson. we highly recommend Omer as a teacher and musician. Omer helped me in preparing for my audition to the school of jazz in The Newschool, NY. Don't know my answer yet but Omer definitely helped me feel confident about my playing and be more coherent in my presentation in front of the judges. He showed me some techniques to be able to remain focused even under the stress of an audition of such significance for me and I feel like it really changed my performance for the better. I've been a classical violinist for many years and but never had the courage to improvise on my instrument. Omer showed me how fun improvisation could be and really made everything seem easier than what I thought it was. Great guy and awesome teacher!! When I teach violin, my lessons address students' performance goals while also emphasizing that the music-making experience should be about fun and enjoyment. I bring enthusiasm and curiosity to lessons as I facilitate students' musical growth. five years and am starting to offer tin whistle lessons to students interested in learning to pick up Irish music. As a music educator, I fulfilled my student teaching at the middle school and high school level in Pickens, South Carolina. My goal as an educator is making sure that my students succeed and reach their goals. This is my first time learning to play an instrument, and Kendall has been nothing short of amazing. I feel like I am progressing with each lesson, and I enjoy working on my homework between lessons. I absolutely recommend Kendall if you want to learn violin as an adult beginner, and I'm sure she is equally good with younger students and more experienced ones. I know several different teaching techniques on violin. I can help pin point which techniques will be best for each person. he bare basics all the way to sight reading. I can be strict or easy depending on what the student wants and needs. I also have experience in difficult to teach students, and students with disabilities. Please consider me to be your teacher, by doing so, we can make the world sound a bit more beautiful, together. I have twelve years of performing experience and I am currently pursuing a music performance degree at the University of Michigan School of Music, Theatre, and Dance. I have a wide knowledge of violin repertoire from Suzuki to fiddle tunes. One of the best teachers of violin and viola playing is offering lessons. She posses knowledge of Russian old school of violin/viola playing ,and she holds a doctorate degree from Louisiana state University. She is a prize winner of several international and national competitions. 7 years of experience in teaching. Lessons can be done at your house or online. "To my mind, the role of a teacher is no less important than the role of a doctor, that is why a doctor and a teacher have to be highly professional. I think a teacher has to have individual methods for each student in order to make an efficient collaboration." joy playing an instrument and to develop skills which will be useful in life. During the second and third year of my DMA studies, I was appointed as a teaching assistant at Louisiana State University. My responsibilities in this position entailed teaching undergraduate students and giving complementary lessons. My qualifications in instrumental coaching included every level from 6 years old through university. In teaching and performing areas combined, I have almost 11 years of a professional experience earned through a variety of short-term and full-time positions. Awesome teacher, love her ! Violin has been a source of great joy throughout my life! It serves as a faithful creative outlet, a fun and engaging challenge, and an avenue to connect with others. I currently play at church alongside two other musicians, and I have participated in various ensembles over the years (VCU Symphony, Virginia Youth Symphony Orchestra, and the Tidewater Intergenerational Orchestra). I first became interested in passing along my violin skill set when an friend asked for some tutoring. I found out that I love seeing people learn and feel empowered to practice what they learn! It's my goal to encourage players of all skill-levels and help them progress with their instrument! Hello! My name is Emma S. and I have been playing violin for 10+ years. I started out taking Strings class in school, and from there I began a long career of taking private lessons and playing in orchestras all the way through high school graduation. My primary teacher was the late Thomas Lindsay, concertmaster of Symphonicity. For college, although I studied visual arts at VCU's School of the Arts, I continued playing violin as a member of the VCU Symphony all four years. Some examples of the students I'm interested in tutoring are: Elementary school students just starting out and learning the basics; Middle and High school students who want to improve in their orchestra classes and play more advanced pieces; Adults interested learning to play or picking violin back up. For teaching I use Essential Elements books for beginners and Suzuki books, as well as various exercise, scale and arpeggio books. Bach is a favorite of mine. In addition, I will work with students on Concertos and any material a student wants to bring to a lesson to look at (fiddle music is welcome!). I am very observant and thorough, and pay attention to how each student grasps the concepts. It's important to me that the student understands how to practice correctly when they're by themselves. 1. Assisting those learning the basics of violin and music theory. 2. Instruction to improve technique. 3. Helping those who want to play in school orchestras or ensembles. I begin by assessing what each student already knows and what they have trouble with, what they want to learn, then we work together from there. As a result, my students will know what and how to practice, and will enjoy a learning environment that is, most importantly, encouraging. My lessons are enthusiastic and concentrated; after all, violin is an engaging instrument that will enrich your life with its beauty - even if you don't often play for other people. Can't find a teacher in Howell, MI? edgeable in music!! Would highly recommend her to anyone looking to take violin lessons!" Detroit, MI teacher: Charlene G.
continuing his education with her for as long as we can." nd her as a teacher." ificant skill and experience as a musician but also she has the ability to effectively demonstrate and communicate the principles and techniques of playing the violin from the most rudimentary level (i.e. my level) to the experienced level of serious talented students. Charlene does all this in a relaxed but serious manner. It has been my experience, that when noting deficiencies, Charlene addresses them with patience and corrects and guides the student along in a manner that is both honest and effective but never discouraging or dispiriting. Charlene is very adaptable at modifying her teaching methods or approach and can accommodate instructing elderly retirees (i.e. individuals like me) or some of the youngest students with the tiniest violins you ever saw. In other words, Charlene is very good at assessing a student's goals and asperations and customizing her approach to the individual student's needs and current abilities. Charlene sets clear goals for improvement and learning new techniques and motivates the student to improve and strive for a realistic and achievable level of skill. I would recommend Charlene to any student of any age and any skill level." "Ms. Kathy is a great teacher." Detroit, MI teacher: Kathy B.
harlene has proved that is not the case and I am amazed at the progress my daughter has made for never having played an instrument before. Charlene's dedication to her students, along for her love of music, is evident in her teaching. We are both so happy we found her." "First class and it was wonderful!!!!" "Megan loved her lesson! Charlene was great!" "Leah was wonderful, our daughter Aliyah loved her and can't wait for the next class"
Detroit, MI teacher: Leah T.
Why Are There Different Violin Sizes, and Why Does it Matter?